The CHASE Feminist Network is working to provide spaces of resistance in what continues to be a patriarchal higher education sector, with ongoing and intersectional discrimination happening at all levels. We are aiming to create links with inspirational people inside and outside of CHASE that are challenging this environment and ensure we have space for discussion, and networks that provide both professional and personal support. The network places a strong emphasis on the importance of considering intersectionality and interdisciplinarity, as well as valuing the personal, political and creative, alongside and as integral to the academic. This two-day event brings together researchers, students, practitioners, and activists from across the CHASE network whose research, pedagogy, and practice inspire forms of feminist resistance. It features papers, discussions, workshops and round tables which have been designed to offer alternative modes of thinking and expression to those dominating within the mainstream Neo-liberal university. Come and join us for two days of feminist thinking, crafting, sharing and writing. The programme is still being finalised; final version will be released shortly. To attend the event, please fill in the registration form at the end of bottom of the page. 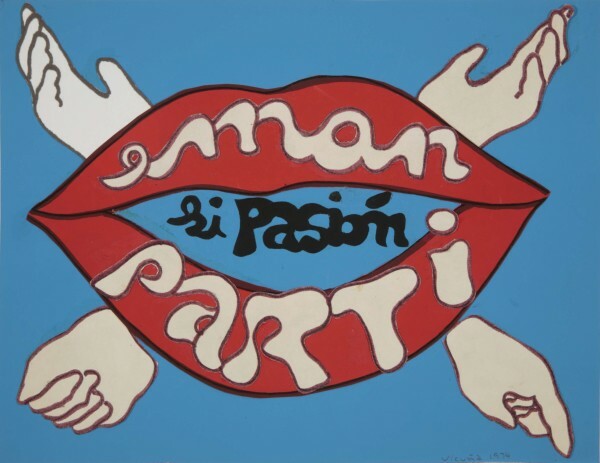 Cecilia Vicuña, eman si pasión / parti si pasión, 1974, © Cecilia Vicuña, Image © ESCALA. By registering, you are requesting a place on this training programme/event or selected sessions that form part of the programme. A member of the CHASE team or the workshop leader will contact you in due course to confirm that a place has been allocated to you. If you are allocated a place but can no longer attend, please email enquiries@chase.ac.uk so that your place can be reallocated. CHASE training is free to attend and events are often oversubscribed with a waiting list. Failure to notify us of non-attendance in good time (ideally 5 days prior to the event/workshop/programme) means your place cannot be reallocated and may result in your access to future CHASE training being restricted.